Welcome to the new VEX Forum! Welcome – we have made a few changes. 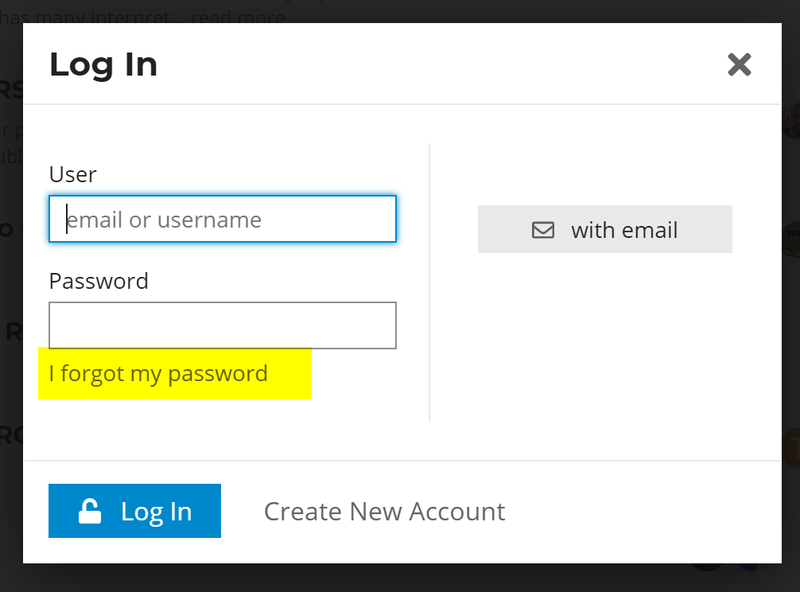 Reset your password in order to get logged back in! Please read below before posting any threads asking for help. wow this is designed great. there is another design committee that DRow should be in. This forum now uses Discourse. @DRow didn’t make it. The people in charge at VEX didn’t even make it. Can we dial the password length down please? i know i was joking. The default password length was set to 10 characters. I’ve lowered it to 8, which is as low as Discourse will allow. Super, that means my old, and default password of pswd1234 will now work again! Nice work, the new forum looks great! I like the new Forum! However, there was an issue with transitioning the code blocks from old posts. You have to use the .pressing command instead of .pressed . pressing returns whether the button is pressed or not. 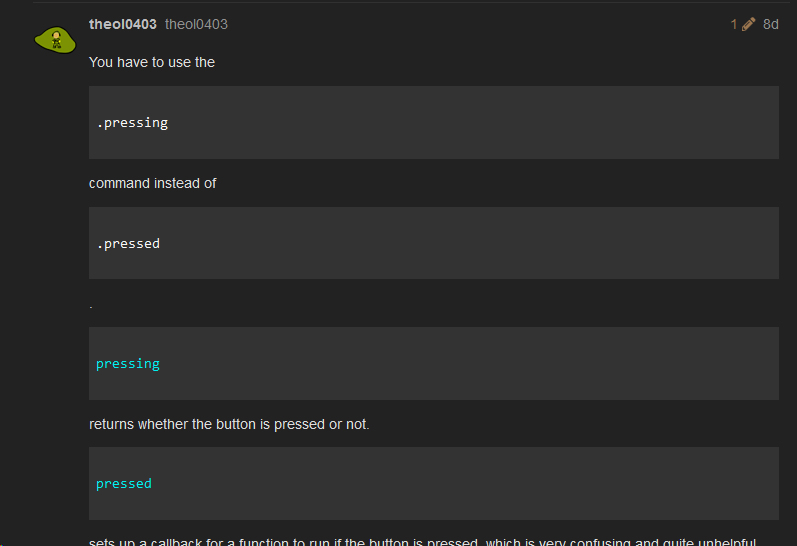 pressed sets up a callback for a function to run if the button is pressed, which is very confusing and quite unhelpful. VCS has terribly named these functions and does not have a helpful API. Consider using RMS. You can see this breaks the flow of my explanation. Would there be any way of fixing these? I’m just curious; can someone expand on “Daily Like Limit” that apparently exists? At the lowest trust level, you can only like 30 posts per day. Shoot. I can’t have that! DRow says it’s pretty easy to level up, but I haven’t yet. I guess it’ll come with time. While the spam-blocking features are nice, they can also be a pain to actual users. I fixed that post for you. If you notice any others formatted incorrectly, use the flag icon and let a moderator know so they can be fixed.